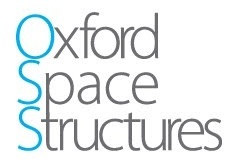 Oxford Space Structures is using space technology to create innovative baby products. OSS’s award-winning “SpaceCot” concept uses the mechanism employed to unfurl ESA satellites to create the world’s most portable travel cot. The prototype weighs only 3.5kg and takes less than 10 seconds to erect or collapse using only one hand. Once erected it is highly stable and appears more robust than any existing model. Existing travel cots are bulky; typically weigh over 11kg and need a car to transport, and take several minutes to set up. Our SpaceCot weighs only 3.5kg and takes less than 10 seconds to erect or collapse using only one hand. Once erected it is highly stable and appears more robust than any existing model. SpaceCot – first light weight easy deployable travel cot for babies based on space technology. The travel cot market is worth £60m in the UK and perhaps ten times this worldwide (UK Source: Mintel). This small market has seen limited innovation in the last 15 years. Almost all competitor products are complex and time-consuming to deploy and pack away. Leading high-end brands including Baby Bjorn, Phil and Ted and 4moms.com have introduced lightweight models (6kg – 15kg) but these are very expensive (£160-£250), feel insubstantial, and are very complicated to assemble. Retail price per SpaceCot between 160 – 200.